December 27, 2015 found us heading to California, and what we hoped would be some sunshine. Packing up to move was dry, right till the end and then we ended up wet again. 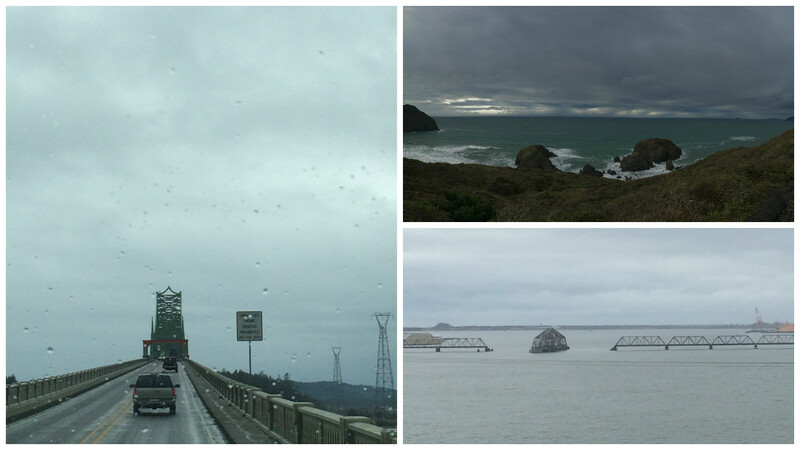 We drove in rain until we reached southern Oregon where we started to see some sun. It didn't last and once again we set up in the rain. 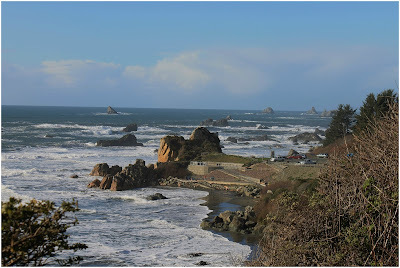 While driving Hwy 101 you go through a number of small towns. In Coos Bay, CA we spotted a store with the perfect name. Katrina Kathleen's. Katina is our daughters name, and Kathleen is our God-daughters name. Les went around the block so we could get a picture. 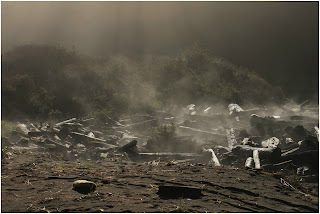 The trip was a little longer than expected as Hwy 42, that we planned to take is closed due to a mud slide, so it was a 5-hour drive, with a northern detour before heading south. We arrived at Chinook RV Resort to find that the host person was gone for the night and the majority of sites were blocked off because they were flooded. With the help of Randy, one of the permanent residents, we found a spot we could use and got set up. 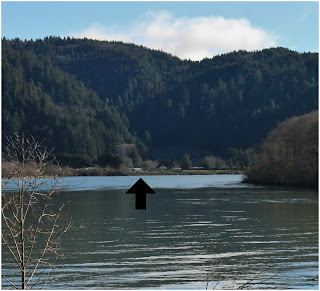 The campground is small, there are a number of permanent trailers, most of which are not kept up very well, but it is right on the Klamath River where it runs into the ocean. We had a pretty river view and we could hear the crashing of the ocean waves. The town of Klamath is very small, a gas station, hotel and casino is all there is, oh and a tree you can drive through! 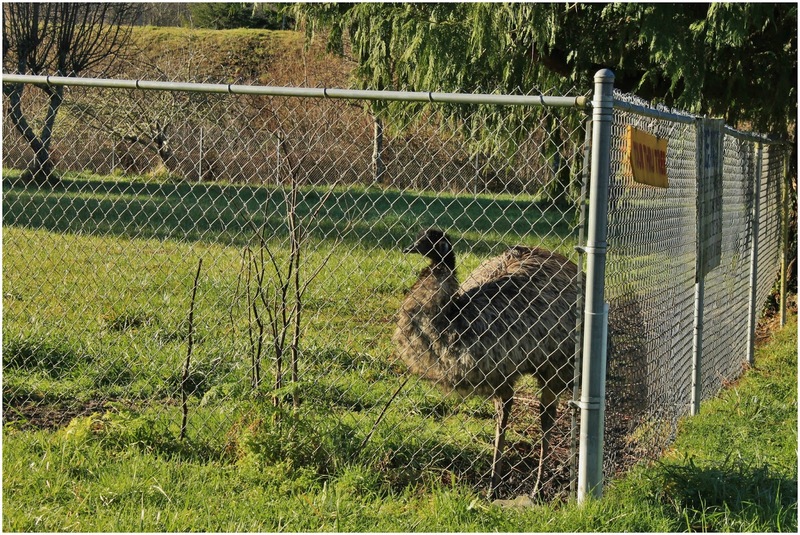 This is something we were looking forward to doing, and we saw an emu. 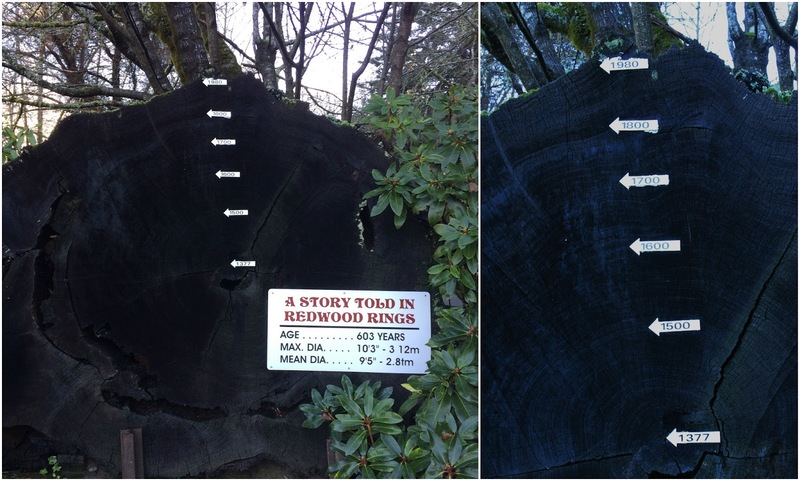 Also, on site they have a large slab of tree that really puts into perspective how big these trees are. Exploring Hwy 101 was the plan for this stay. First day out we headed north and actually ended up back in Oregon for a bit to see Arch Rock. 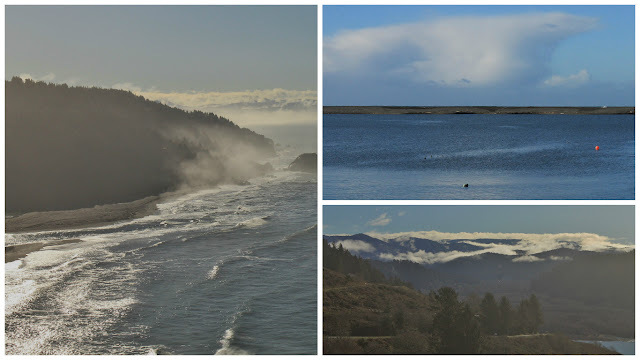 The Klamath River Overlook gives you some great views of the ocean as well as the river, we followed the river road and got our first sighting of seals, or at least their noses. Crashing waves, seal nose and interesting cloud, mountains in the distance. We could see our RV from the rivers edge. A stop at the Klamath False Cove was a must as it is where the Wilson River meets the ocean. 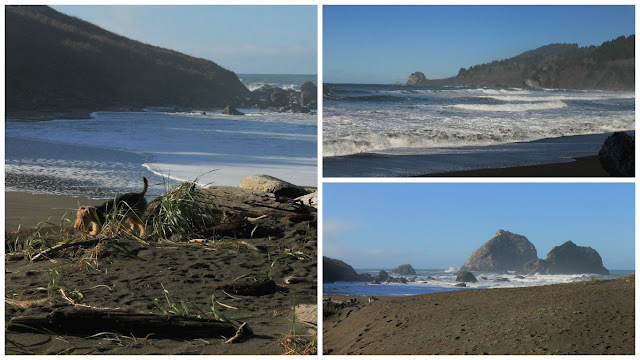 It is a short walk from the Yurok Lagoon parking lot to the beach. 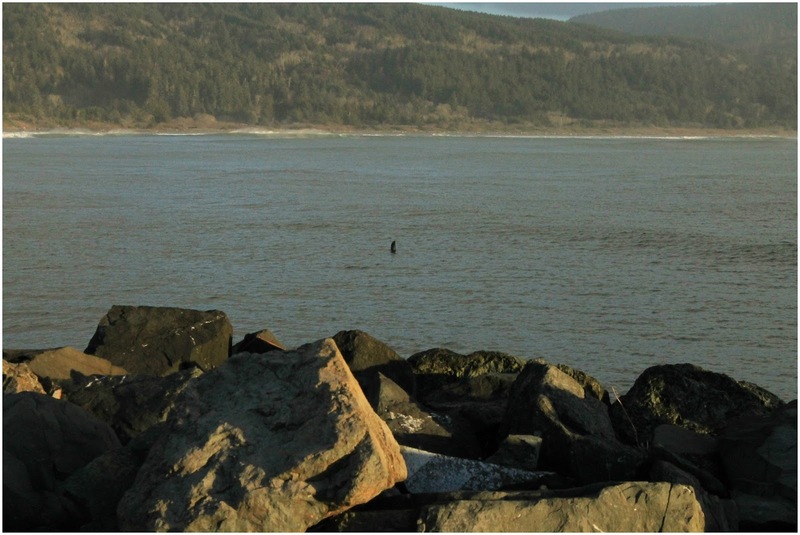 Or you can park along Hwy 101 and walk down onto the beach. 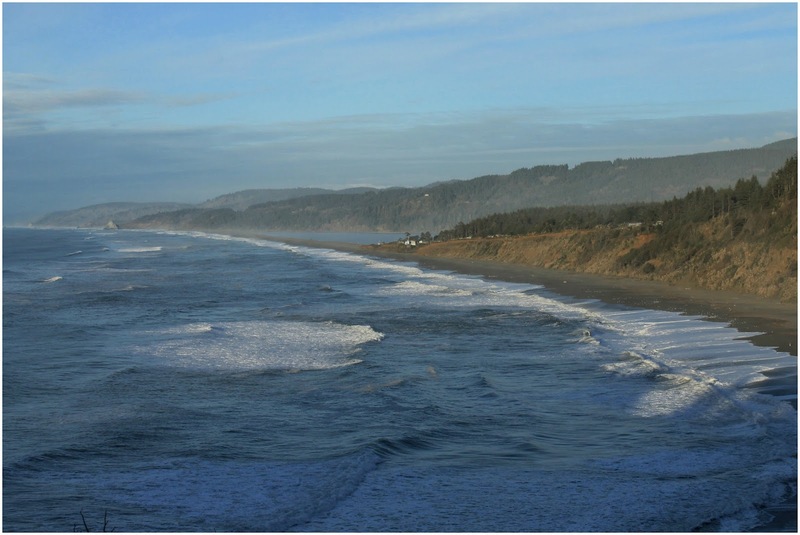 Yurok Indians had a legend that the Klamath River once emptied into the ocean at this cove, hence the name. 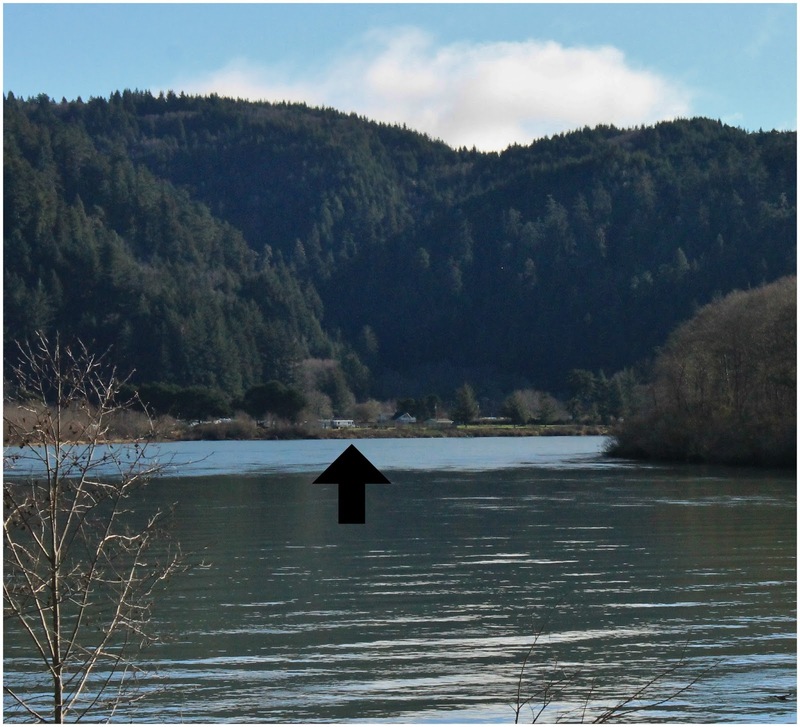 The small cove has fooled the crews of many ships, thinking it is the mouth of the Klamath River, which is actually a few miles south. 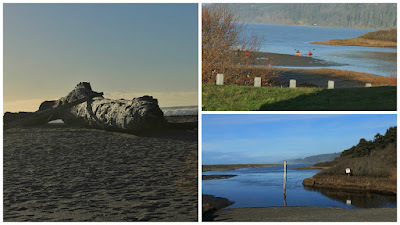 The waters edge is lined with large rock outcroppings and the beach is full of driftwood that was warming in the sun while we were there. Oh yeah, did we mention we now have sunshine? Crescent City is the "big" town on this section of the coast. We found the Battery Point Lighthouse, on a small islet off shore from the town. Access to the islet is on an isthmus at low tide. The lighthouse construction started in 1855 at a cost of $15,000. The light was lit for the first time on December 10, 1856. The first keeper, Theophilus Magruder, had not arrived yet, so a temporary keeper kept the light going for the first ten days. In 1965 the light was turned off, until 1982, when the lighthouse was bought and is now open for tours. Arch Rock is just off shore from Harris State Park, just north of the Oregon/California boarder. 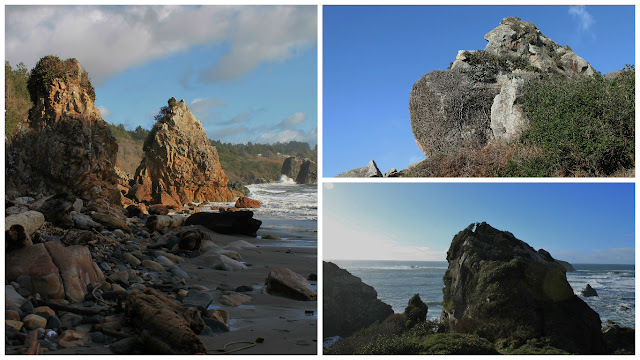 As we walked down the path to the waters edge we were expecting an overlook to Arch Rock, boy were we wrong. The path is a winding trail that takes you right down to the beach across from the arch. It was spectacular. 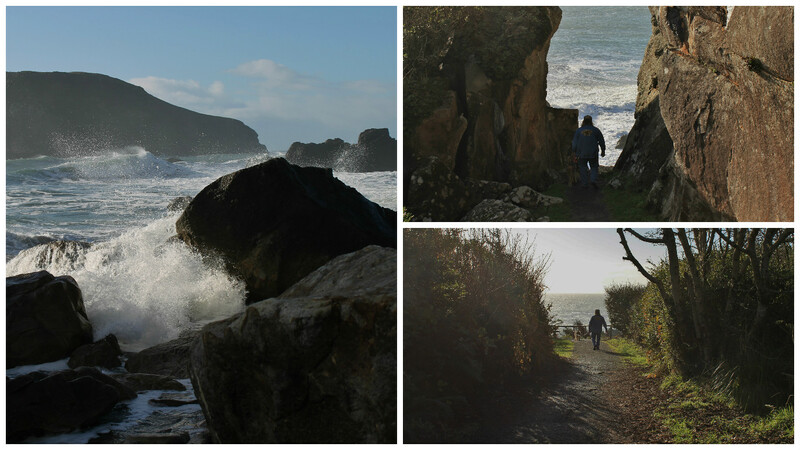 There are a number of rocks that the waves were crashing against, the roar was phenomenal. We climbed all over the beach, which was full of driftwood and rocks. We had so much fun. On our way back home, we stopped back in Crescent City to go to the Visitor's Center only to discover it is closed on Mondays. It worked out for the best though, as it is located in a beautiful park on the harbor. Across the harbor we saw another area we wanted to explore, Anchor Harbor, we are so glad we did. 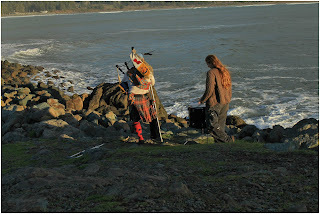 As we approached the end of the peninsula we saw body surfers riding the waves on the bay and another seal, or a least his nose, then we were greeted by a bagpiper. Standing on the cliffs edge was a young man in full kilt attire playing the bagpipes accompanied by a drummer. It was so beautiful, his music and the waves together. 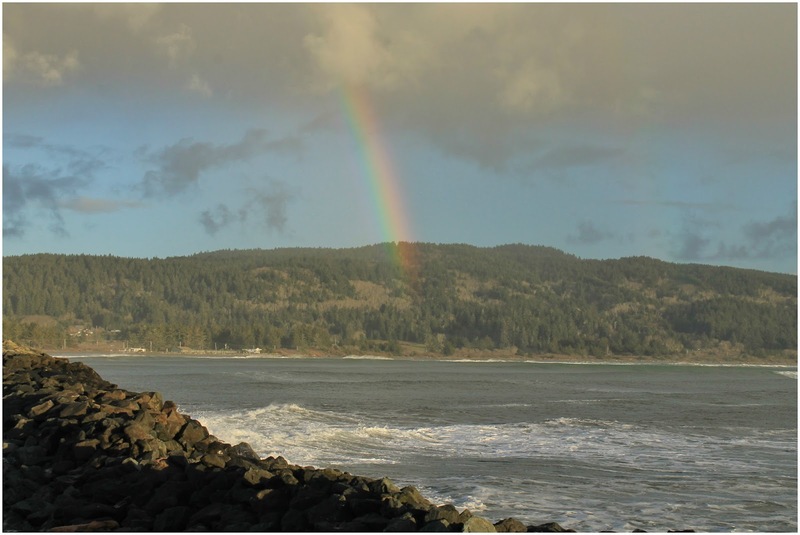 The cliff gave us some great views and the piece de resistance was another rainbow. Second day we headed south from camp and found so many things to see and do, the first bridge we crossed is flanked by giant gold bears. 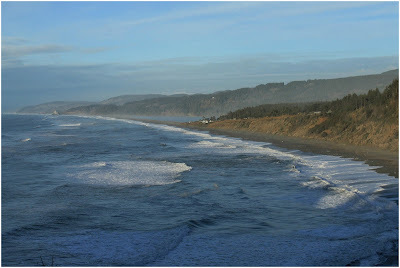 Klamath Beach Road took us to the other side of the Klamath river opening. There is an observation deck that is also guarded by large cement bears. The road was barely passable due to a fallen tree, never would have gotten under it in the RV. 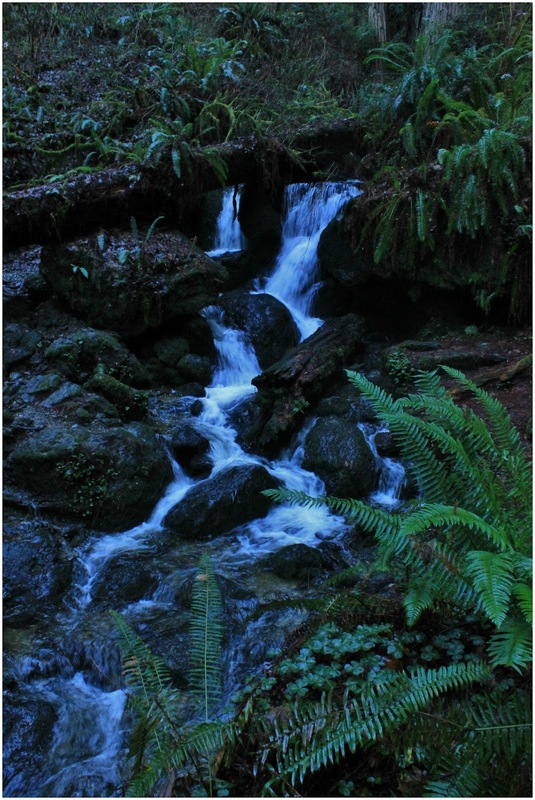 As we watched the ocean we were intrigued by the different colors of the water, wondered if it is where the fresh water from the river reaches. 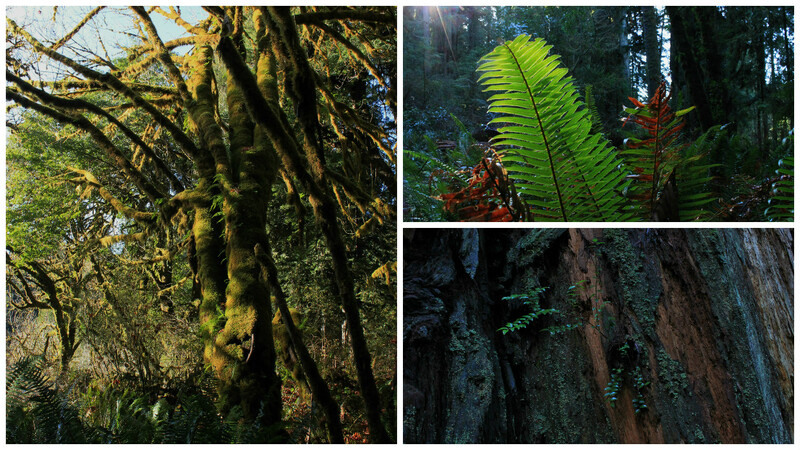 We are in Redwood country and there are some beautiful giants. The Big Tree Wayside is home to a 304-foot redwood, that is estimated to be 1500 years old. 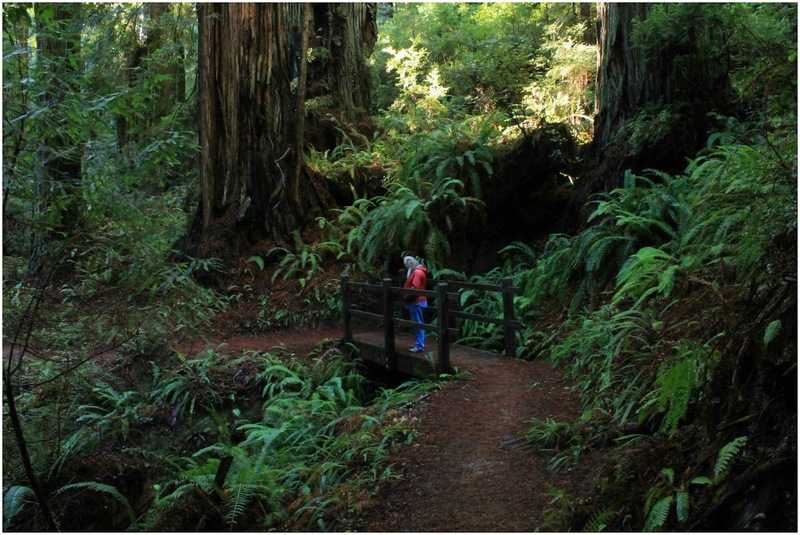 This grand-daddy is 21.6 feet in diameter and resides over a number of trails filled with additional redwoods, ferns, mushrooms and other plants. You do get peaks at the sky every now and then. 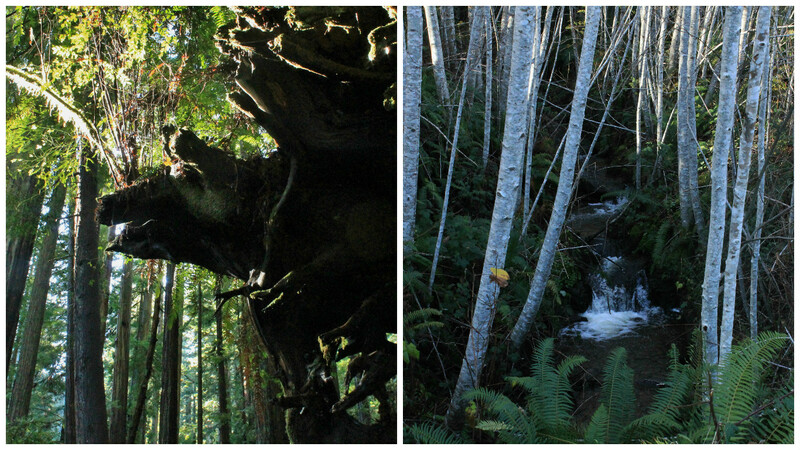 There were a number of "nurse" trees in this forest, This large root base was the most amazing one. The roots of the new trees are growing around the base searching for the ground. 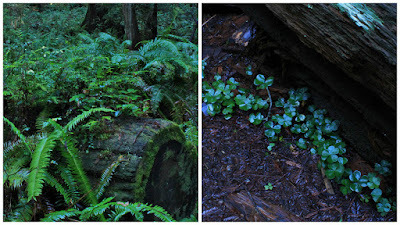 In the midst of the beaches we found a waterfall, a short hike takes you to the Trillium Falls. 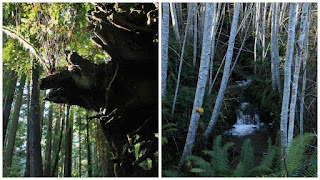 With only a 10 foot drop they pack a punch, beautiful moss covered trees and rocks surround the falls. 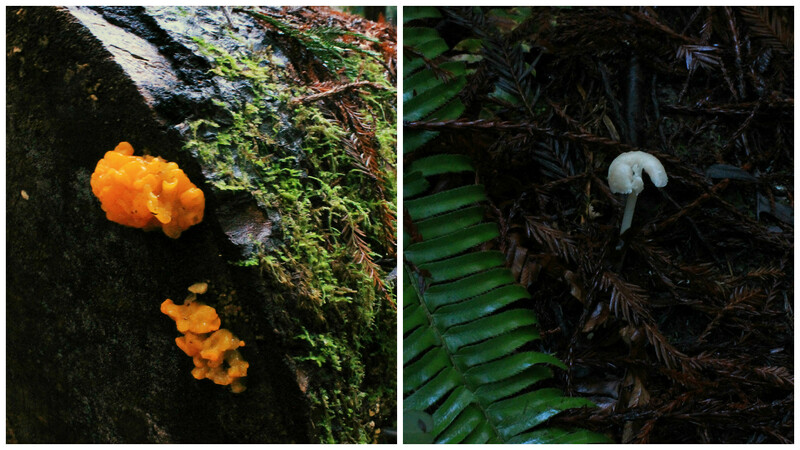 The trail is rather hilly but it keeps you entertained with mushrooms, small falls, and a log that looks like a hogs head. Everything is so big, this picture helps to put it in perspective, Les looks rather small standing on this bridge. 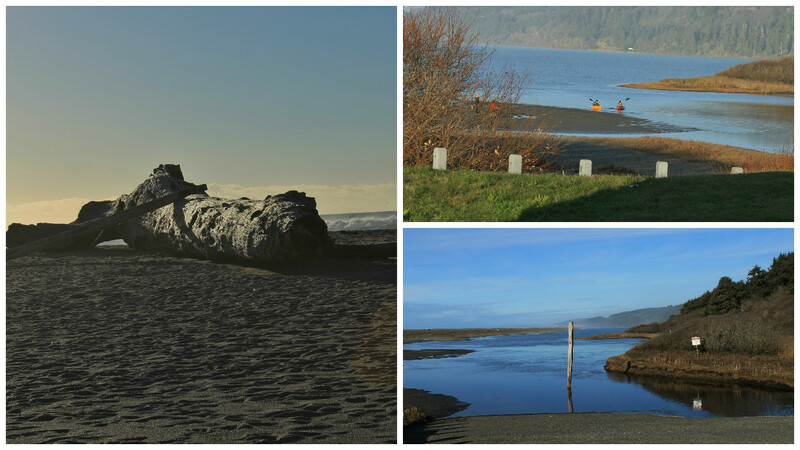 The Big Lagoon Beach County Park was a fun stop. The lagoon lives up to its name, it has a shore length of 9 miles. Having the beach to ourselves is always great, Mielikki loves being able to run off lead. 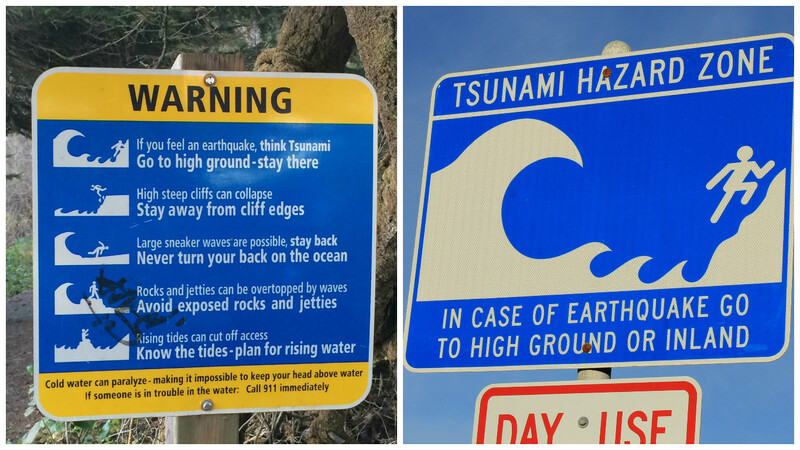 We had the ocean on one side and the bay on the other. The Lagoon offers a great place to kayak and fish. Patrick's Point gives you a great view of the Big Lagoon Beach. 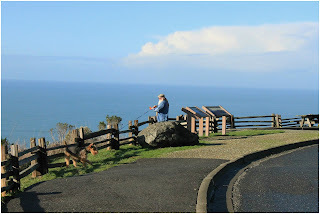 Patrick's Point Drive, gets you off of Hwy 101 and takes you through a redwood forest. The road ends in Trinidad, a really cute little town with lots of shops and eateries. 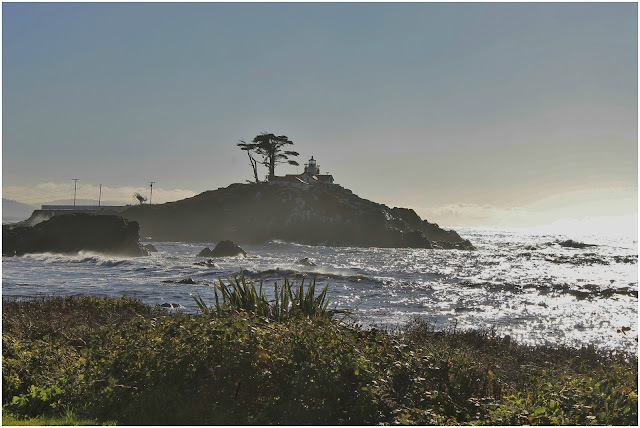 While driving through town we came across the Trinidad Memorial Lighthouse Park, the lighthouse is an exact replica of the Trinidad Head Lighthouse, which is on the headland at the end of the bay. The Memorial Lighthouse has the original Fresnel Lens from the real lighthouse and the large fog bell hangs from a wooden frame. The park is a memorial to those lost at sea or buried at sea. 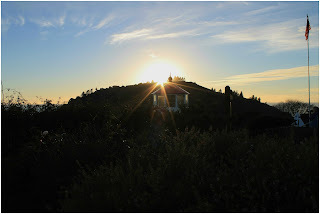 We had a quick one night stop in Ukiah, CA on our way from Klamath to Dunnigan, which is just north of Sacramento. 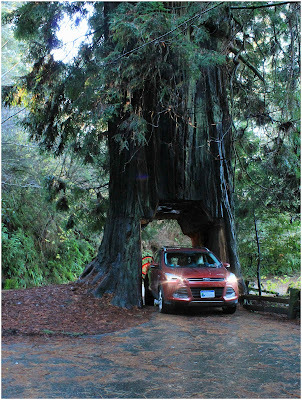 We stayed at the Redwood Empire Fairgrounds. A small park with full hook ups and fairly well maintained. We were surprised when the Jehovah Witnesses came knocking on our door in the morning!. Looking forward to spending time with Jan and Dave in Sacramento. Outside awnings - Your awning offers shade on sunny days, and protection on rainy days but there are a few things to keep in mind to help it last longer. 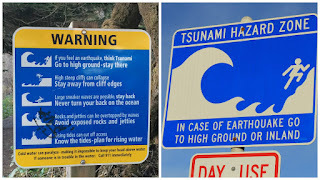 ~ If you are in an area prone to wind, don't leave it up while you are gone, they have been known to get blown around and ripped in wind gusts. ~ When you have been in lot of rain it is best to open it and let it dry out when possible to avoid mold. We use a long handle scrub brush and mild soap to clean it. 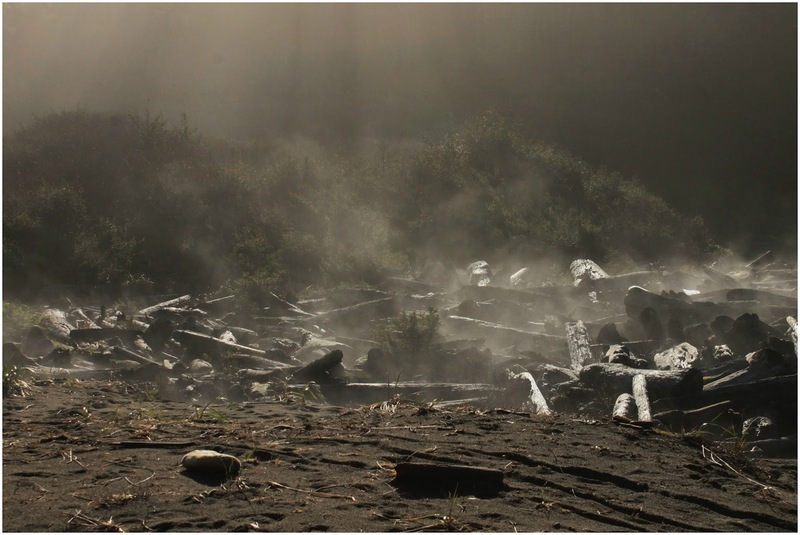 Not every campground lets you wash your vehicle so make sure you check. 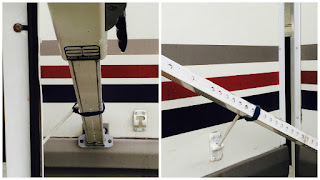 ~ When the awning is up there is no way to lock the door in the open position as the braces stop the door from opening all the way. Our solution to the door being blown shut is to use a Velcro strap and attach it to the brace.